Not everyone has the time to head to the gym every day, let alone every week. Since a lot of people other important tasks to handle throughout the week, heading to the gym seems like an afterthought—if people weren’t already discouraged by heading to the gym anyway. A lot of people actually feel intimidated by heading to the gym, whether it comes down to fulfilling expensive gym membership subscriptions or dealing with the peer pressure saddled with some popular gyms. Even though some people do give up on heading to the gym, they don’t have to give up entirely on becoming more fit. They can just take their workouts back home. Nowadays, a lot of people are working out within the comforts of their home. They don’t feel the need to get a gym membership… because they can use that money to buy the right home workout equipment to get that gym experience right in the comfort of their own home. And, there’s never been a better time to buy gym equipment than now. There’s a wide selection of gym equipment out there that will help you achieve what you want to achieve doing in a typical gym workout. If you don’t want to head to the gym to workout, take that workout back home. Okay, so… what type of home workout equipment can I expect to find on the market today? What are the best types of home workout equipment for certain workout regimes? There are many types of home workout equipment that suit different types of workout regimes. 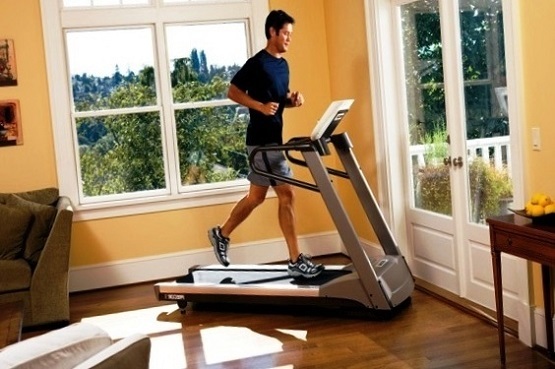 To start, cardio equipment probably make up some of the most common pieces of home workout equipment out there. They’re mainly designed to increase our general fitness levels, ultimately helping strengthen the heart and lung’s conditioning. Besides helping condition the heart and increase our lung capacity, it also helps boost our energy levels, which also has the effect of reducing our stress levels and boosting our body’s natural metabolic function. So, cardio equipment is considered some of the best for a reason. Cardio equipment usually consists of home workout equipment like rowing machines, exercise bikes, treadmills and ellipticals. This type of home workout equipment works so well because you can couple working out with this equipment with other leisurely activities like watching television or listening to music. Aerobic steps and jump ropes serve as pretty good inexpensive cardio workout options. Free weights are another common type of home workout equipment. They’re mainly designed to help develop and strengthen the body’s muscles—in fact, they’re pretty good for bulking up your muscle mass in general. With free weights, you can target specific muscle groups if you want to eventually bulk up those muscles. While they’re not suitable for a cardio workout, they’re still a good option for people who want to tone the body. Barbells, kettlebells and dumbbells make up some of the most popular free weights (BB.com). Resistance training also helps strengthen and increases the size of the body’s muscles. This type of home workout equipment is mainly known to help tone the body and increase the strength and flexibility of the body’s many joints. You can even use resistance training equipment to exercise the joints if you’re recovering from an injury or illness. Weight machines make up some of the most common resistance home workout equipment. Since the weights are attached to the machine, it provides better control over working specific muscle groups. Some weight machines, like multi-resistance weight machines, are known to work several groups of muscles at once. To round this group of home workout equipment up, toning and balance home workout equipment helps, well, improve our balance and flexibility while helping tone up the body. Some of the best known toning and balance equipment usually includes exercise balls, exercise discs and BOSU balls. Well, now that I know more about home workout equipment, what should I consider when buying that equipment? Is there anything important I should know about? There are a lot of things you should consider before buying any home workout equipment for your home. One of those things involves, well, the reason why you’re bothering to buy the equipment in the first place. In other words, think about what you might want to accomplish by using that equipment—your goals. You could just want to condition your body, though others buy home workout equipment for toning up their body. No matter your purpose, there’s always a piece of equipment to suit that same purpose of yours. You should also consider whether you actually like the equipment you’re using, too. After all, you shouldn’t get an exercise ball if you’re not that fond of them. Space also matters—if you don’t have a place to keep your equipment, you won’t be able to bring that equipment into your home! That’s why it’s important to, at least, measure the space you may need to store certain home workout equipment before buying it. Let’s not forget that you can’t really buy home workout equipment without knowing if it works or not—even though that same equipment is what you make of it. The best home workout equipment are those products that do exactly as advertised and possess no gimmicks whatsoever. 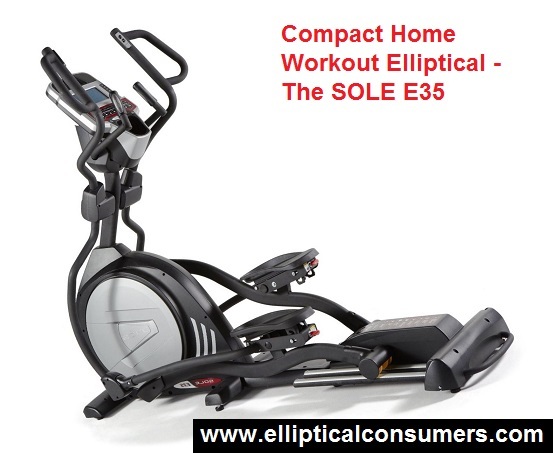 If you are considering an elliptical learn more here: Elliptical Buying Guide – How to Choose Wisely. All right, I’m convinced about getting home workout equipment for my home. Is there anything else I need to know before I buy? There’s never a shortage of information you need to know about home workout equipment! Though, before you buy, it’s important to think about how much you should consider spending on your home workout equipment. A lot of workout equipment usually have prices that correlate with their quality. In other words, expect to get cheap looking and cheaply-made home workout equipment if you buy that same equipment at suspiciously low prices. If you take the time to budget for higher priced home workout equipment, you won’t have to deal with the ‘bargain bin’ quality, and instead get a piece of home workout equipment that will work for years… instead of mere months. Even if you’re just buying one piece of home workout equipment, don’t be afraid to budget around getting a better quality piece of equipment. Not only does that equipment last longer, but it’s much safer to use, too. Learn more; get your home workout updates, news and reviews here.